Research work encompasses Syrian refugees post 2011, Iraqi refugees in Jordan and Syria, and Palestinian refugees. 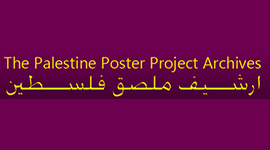 Has conducted research with Syrian and Iraqi refugees using participatory methods and life histories. Teaching interests include Arab society and culture; refugees, migrants and immigrants in and out of the Arab World; memory, history, and historiography; and conflict and change. Studied at a variety of universities in the Middle East, including the American University in Cairo, the University of Jordan, and Yarmouk University in Jordan.